for $227,500 with 3 bedrooms and 2 full baths. 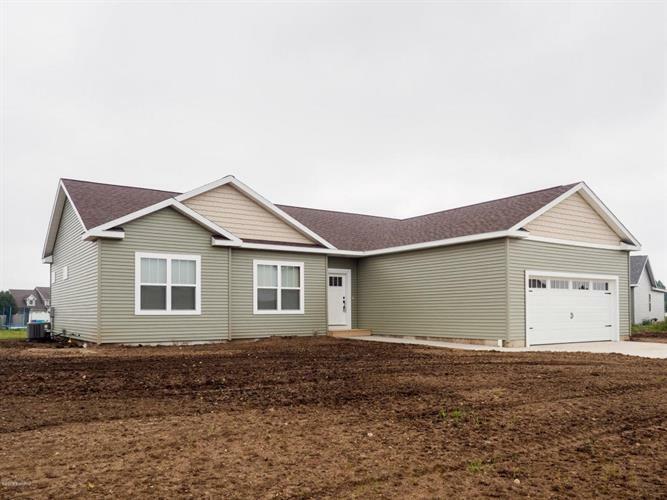 This 1,680 square foot home was built in 2018 on a lot size of 0.5900 Acre(s). Welcome home! Gorgeous custom built home by Advance Design. Conveniently located the home is close to the charming Village of Vicksburg, Sunset Elementary, baseball fields, shopping, restaurants, walking trails, golf and more. Easy access to US 131 and I94 - the home is just a short commute to Portage/Kalamazoo and Three Rivers. Open and spacious floor plan with large great room, dining area and kitchen with tall maple cabinetry, subway tile backsplash, stainless appliances, quartz sink pl catch all nook and access to the mud/laundry room with a custom barn door divider. Expansive master suite, master bath features dual sink vanity, glass shower, large walk in closet. Other amenities include upgraded 6 panel solid doors, energy efficient furnace, water heater, city water/sewer and more. Don't miss you opportunity to make this lovely home yours.